This page provides a summary of Article 4 Directions and the Mandatory Licencing of HMO’s (housing in multiple occupancy). Newcastle City Council’s website provides guidance on houses in multiple occupation in Newcastle upon Tyne. Changes to legislation in April and October 2010, and the subsequent introduction of several Article 4 Directions in Newcastle upon Tyne mean that where an Article 4 Direction has been applied planning permission is required for the change of use of a dwellinghouse to HMO accommodation. The result of the Article 4 Directions mean that in certain parts of Newcastle upon Tyne, planning permission is required to change use from Class C3 (family dwellinghouses) to Class C4 (HMO). There are several Article 4 Directions in place in Newcastle upon Tyne. The first Direction covers parts of Heaton, High West Jesmond, Jesmond, South Gosforth, Sandyford and Spital Tongues. This was followed by a second Direction covering further parts of High West Jesmond and North Jesmond. This direction covers a number of locations in Newcastle upon Tyne including High West Jesmond and you can see the full details on the Newcastle City Council website. 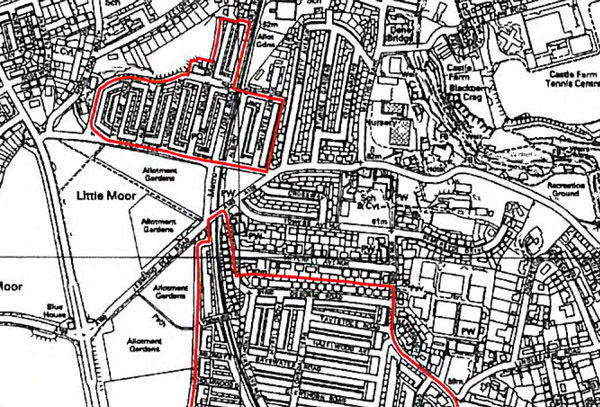 As shown in the extract map below this Direction covers Moorfield, Honister Avenue, Albury Road, parts of Ilford Road, Newlands Road, Lodore Road, Kingswood Avenue, Albemarle Avenue and Treherne Road. This further direction came into force on 9 December 2012 covering further parts of High West Jesmond and North Jesmond. This direction covers Beatty Avenue, Sturdee Gardens, Keyes Gardens, parts of Matthew Bank, Crossway, Towers Avenue and Mitchell Avenue. 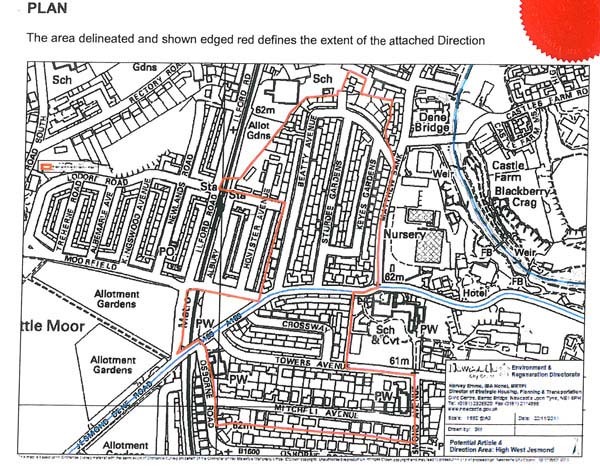 What do these Article 4 Directions mean for dwellings in High West Jesmond? Therefore, if you are considering purchasing an HMO, establishing a new HMO or increasing the number of occupants in an existing HMO then you should seek advice from Development Management at Newcastle City Council as to whether the use could be considered lawful or if it requires planning permission. Applications for the erection, conversion, extension or alteration of a property to a house in multiple occupation will be assessed by Newcastle City Council against the National Planning Policy Framework (NPPF), saved Polices set out in the Council Unitary Development Plan (UDP), and the Supplementary Planning Document: Maintaining Sustainable Communities. National Policy set out by the Government is contained in the NPPF. The NPPF sets out that the purpose of the planning system is to contribute to the achievement of sustainable development, and outlines that there are three dimensions to sustainable development namely economic, social and environmental. The social role relates to the need to support strong, vibrant and healthy communities, by providing a supply of housing required to meet the needs of present and future generations. You can read more information about HMO legislation 2011 on the Newcastle City Council website. From 1 October 2018, the legislation regarding the mandatory licensing of Houses in Multiple Occupation (HMO’s) changed. Previously an HMO required a licence to operate if it was 3 or more storeys with 5 or more occupants forming more than 1 household and where there was some sharing of the basic amenities (washing facilities, toilets, kitchens). The change from 1 October 2018 removed the storey criteria. The government has also introduced minimum room sizes for bedrooms and a new mandatory condition which require licence holders to have appropriate arrangements in place for the storage and disposal of household waste. Certain conditions as detailed in Schedule 4 of the Act are mandatory and must be included in every licence granted. Newcastle City Council can also impose any other specific property conditions considered necessary for regulating the management, use and occupation of the premises concerned plus its condition and contents. All HMO’s are subject to the Housing Health and Safety Rating Scheme (HHSRS). This is a risk based evaluation tool to help local authorities to identify and protect against potential risks to health and safety from any defficiencies identified in dwellings. You can read more about the licencing of HMOs in Newcastle upon Tyne on the Newcastle City Council website.